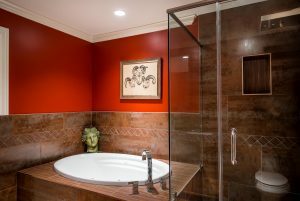 Whether it’s a bathroom, kitchen, bedroom or any other type of remodel; GCP consults with the client to discuss their plan and budget to make the right selection in products and materials. Since remodeling requires different trades, scheduling and time management is crucial to determine an accurate deadline. GCP believes that the prep work phase is vital to optimize the best results. We take pride in the prep work phase by taking extra precautions to mask off the work area to protect floors, furniture and valuables. Our expertise recognizes and solves problems that may arise, as they often do, when it comes to remodeling. Our attention to detail is what makes our craftsmanship and quality stand above the rest. Once the project is complete, a walk-through with the client will take place to approve that the scope of work has been met.